How Animals Survive in their Biome! 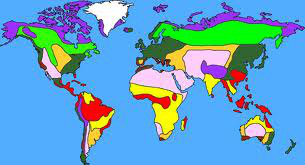 As part of their science curriculum on biomes of the world, student's each researched one biome (Desert, Taiga, Rainforest, Deciduous Forest, Marine, Chaparell, Savanna or Grassland) to become an expert on its location, climate, the plants and animals that live there and the adaptations those animals have in order to survive there. Then each student designed an animal with features and characteristics that would help it survive and thrive in the biome. After drawing their animal in Pixie, they inserted a photo of their drawing onto a photo of the biome in Explain Everything on the iPads and then "explained" their animal's survival features and how its characteristics help it to adapt.